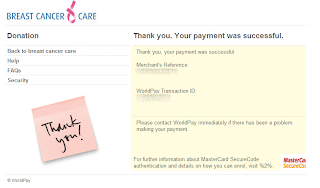 As we mentioned yesterday, I have donated all advertising revenue for yesterdays spoilers release to a charity close to mine and the wife’s heart, Womens’s Breast Cancer Care. We had an extra 60,000 hits yesterday due to the big spoiler we released yesterday and those extra hits and clicks helped us to raise over $130 for the charity. Thanks everyone and thanks to the 3 people I know who emailed me and donated directly to the charity, that was a very nice touch. This entry was posted in Uncategorized and tagged lainnya on December 29, 2018 by admin.